Bats are vital to healthy ecosystems and human economies worldwide. As primary predators of night-flying insects, bats consume enormous quantities of agricultural pests and reduce the need for chemical pesticides. Yet these wonderfully diverse and beneficial creatures are among the least studied and most misunderstood of animals. Bats are threatened worldwide, and their colonies and habitats are destroyed - both intentionally and inadvertently -- because of myths, misinformation, and lack of scientific knowledge and understanding. Bat populations are declining almost everywhere in North America especially due to the devastating White-nose Syndrome. Losing bats has far-reaching consequences for natural ecosystems and human economies. Knowledge is the key to their conservation and protection. 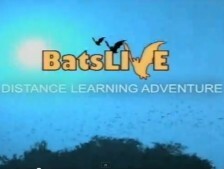 BatsLIVE: A Distance Learning Adventure is an exciting, free education program for children in the 4 - 8th grades and their educators that brings bat conservation to life in your classroom or community. There are 2 webcasts and 3 webinars. With millions of Mexican free-tailed bats living in the cave from March through October, Bracken holds one of the largest concentrations of mammals on earth. The emergence of these millions of bats, as they spiral out of the cave at dusk for their nightly insect hunt, is an unforgettable sight. Be sure to check out the spectacular video. Learn about: the Mexican free-tailed bats of Bracken Cave and other bat species, predators that wait for their nightly emergence, threats to bats including White-nose Syndrome, how you can help these beneficial creatures, how bats navigate using echolocation, cave ecology and more. 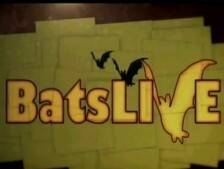 Rob Mies with the Organization for Bat Conservation reviews bat biology by showing live bats – including a vampire bat and the impressive Malayan flying fox, which is the largest bat in the world with a wing span of five feet. Bat populations are diminishing and Ann Froschauer, the former National White-Nose Syndrome Communications Leader for the U.S. Fish and Wildlife Service, talks about threats to these diverse and important creatures. Students will also learn about what they can do to help these fascinating mammals.